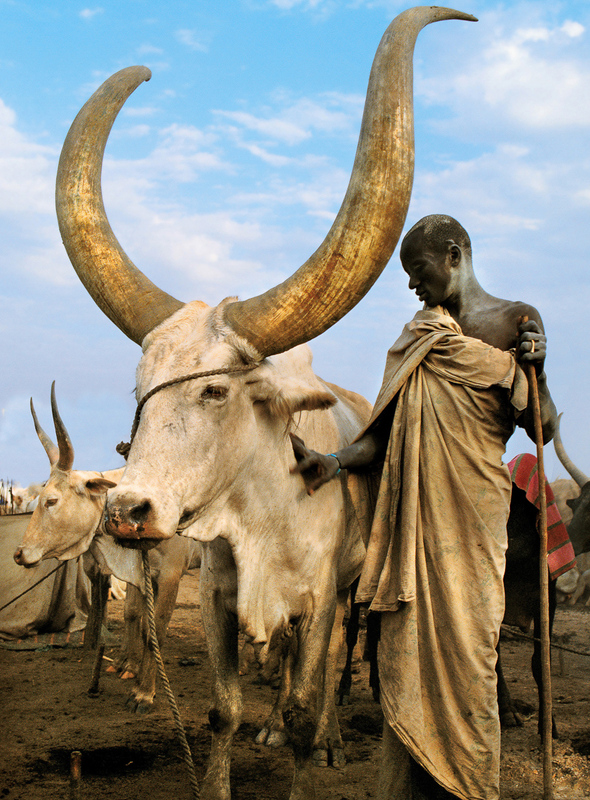 at puberty a dinka male receives a namesake ox after which he is named. he believes that he and the animal are one being. from calfhood he trains its horns into beautiful lyre shapes, and emulates them with his arms as he walks.